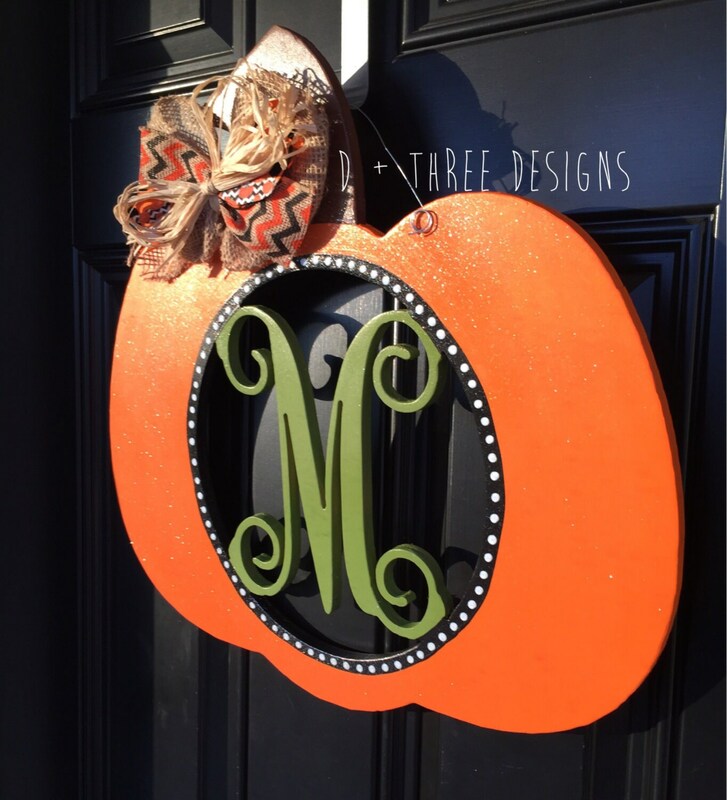 Here's our new fall design: a big orange shimmering festive monogram pumpkin! 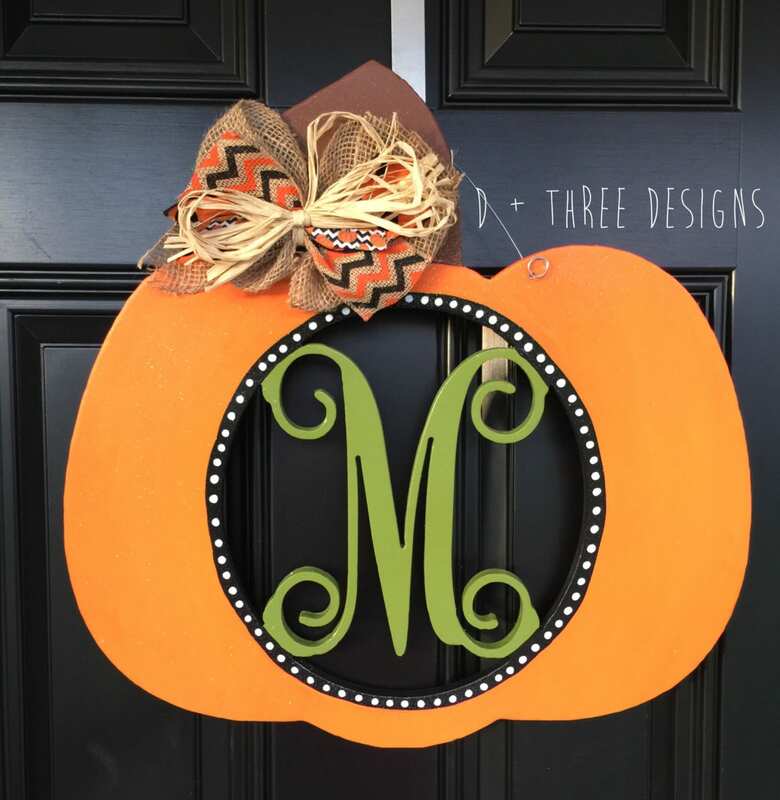 It measures approximately 20" tall and is painted harvest orange, olive green, black with white polka dots, and brown topped off with a customized monogram in the center. We just love the jumbo multi-layered matching bow! It is lightly dusted with a gold shimmer to sparkle when hit by the sunlight. This is made on 1/2 birch wood, hand painted, and sealed. Please put the monogram initial you would like in the "notes to seller" box upon check out. We are happy to accommodate your requests!